Formulated to support the health and well-being of your feline friend, BLUE for Cats features only the finest natural ingredients: Delicious, protein-rich, Deboned Chicken. Wholesome whole grains and veggies. NO chicken (or poultry) by-product meals. 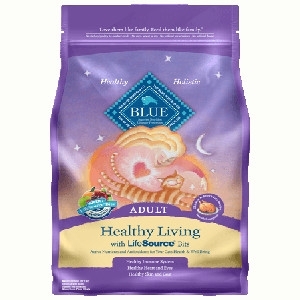 Our natural BLUE Healthy Living Adult Cat food is made to support the needs of cats in the prime of their lives.